Matt Keenan wrote an interesting post about some of the CRM deadly sins over at his Dynamics Café blog. One of his categories that I particularly see happening all too often is “too much notification”. I see this in initial customer specifications and requirements documents quite a lot, usually in the form of “When foo happens, send an email to person/group X”. This is often born out of naïvety on the part of the person who has been tasked with figuring out how their processes should be managed using a system they have never seen yet. They respond by falling back on what they know and try to use their existing mechanisms (such as email) to tell people when something important happens. I also find this in existing systems, sometimes where the original consultant has simply felt that if that is what the customer asked for, that is what they should be given. In other cases it is because not enough time has been spent on looking at alternatives or on training end users how to find information for themselves without having it pushed out to them over old channels. I tend to be a bit more argumentative and ask “why do you want it do that?” “have you considered other options such as…”. Of course, if someone insists loudly enough I deliver what the customer has asked for, but I do at least try to explore with them whether they are taking the best approach. I might start by asking “is this exceptional? does this happen once a week, once a day, dozens of times every hour?”. “Is this simply a normal event that happens as a result of someone doing their job as expected?”. 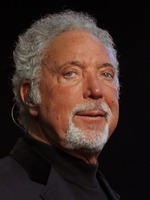 WWTJS = “What would Tom Jones say”? If the answer is “it’s not unusual”, then notifications are probably not the right option. If this is not an exceptional event but simply a normal stage of a standard process (winning a deal, closing a service case…), I strongly advocate not using email or similar tools to notify people. Let them come and find this information when they need it and have time to absorb it properly. Give people a focussed view of the information they need which they can get to in no more than three clicks from anywhere else in the system. Let the sales manager see in one place all deals closed in the last 24 hours / week / month (actually a view of the last month, sorted by date so the newest items are at the top can be a one-size fits all approach here). Give account managers an insight into various events relating to one or all of their customers and decide which ones to focus on in more detail. Make sure the Customer Service manager can see the workloads of their team members to ensure they are all getting things done and no one person is becoming overloaded. This visibility may be as simple as a filtered list view, or part of a visual dashboard of charts to show high-level information with lots of drill down capability to get at the detail. The tool chosen to do this may be part of the CRM system itself, integrated into other systems or reporting tools, be presented as part of an in-house social network feed or be as simple as a spreadsheet which pulls live data from CRM whenever it is opened. No matter what the mechanism, this is all about self-service. Using these views should be a natural part of the daily routine for these folks, just like checking their mail and their to-do list. This change of emphasis may need to be pointed out, and they may need encouragement and training to do this, but if they are diligent about their jobs it will make perfect sense. It is also easier to extend this method to things which may be harder to manage with notifications, such as opportunities which have not yet been won, but are nearing their expected close date, service cases not yet completed but approaching their SLA deadline. Once a manager is in the habit of checking the “completed things” view, they will easily migrate to then checking the “things not yet completed that might need attention soon”. When are email notifications appropriate? Things which are exceptional, outside normal bounds, not part of simple working everyday processes might be events that you really need to wave a flag about. When a sales person wins a deal (which they hopefully already know about), and their order is processed by the finance team, they should not need to be notified. They can check in later and see the progress of their order through the system. However, if their order is being rejected or delayed they might need to be alerted so they can help make sure the deal goes through. This might be an issue over outstanding late payments, credit limits needing to be increased, or a lack of funds available (perhaps where a customer uses third-party leasing to finance their purchase). One other sensible use of email notifications might be if the person who needs the notification is a senior executive who does not “live” in the nuts and bolts of the CRM system all the time and would not necessarily be checking their dashboards often enough to pick up on something that happens in the middle of the day, but the event is exceptional enough that they need to know about it. The 10 million dollar deal which is past the expected close date and could do with some assistance to secure it by month end. The service case for a priority 1 customer which is now 150% of SLA and still not closed. (hopefully middle management will have already been jumping on it at 95% based on the view they use daily). The new 5 year contract won away from your biggest competitor (executives like good news too! – maybe they can go pat someone on the back for it as well). The existing customer who has given notice that they intend to terminate their multi-million dollar contract. Can something be done to keep their business? Is it a price issue or a problem over satisfaction and service levels? Can this be turned around if given enough attention by the relevant senior people? In some cases, using mechanisms such as SMS may be a more appropriate technology for alerting people to these kind of exceptions, although the medium is obviously limited compared to email, which can also contain things like links to take the reader directly to the relevant records. Do you have examples of processes which justify using email notifications in your CRM implementation? Share your thoughts in the comments.